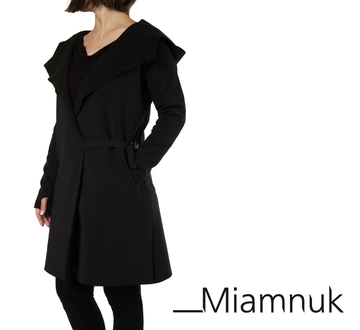 Miamnuk design is functional and elegant clothing that can cope with everyday life. The designs combine unusual materials with a reduction to clear lines and forms. Miamnuk design is functional and elegant clothing that can cope with everyday life. The designs combine unusual materials with a reduction to clear lines and forms. The windproof, water-repellent and breathable characteristic of Softshell combines design and functionality. Behind the label Miamnuk are the fashion creations of artist Miriam Laussegger. All individual pieces and small series emerged in Vienna studio.